For some people it is the iconic John Lewis or Coca-Cola advert, for others it's the big switch on of the Christmas lights in Oxford Street, however what signifies the start of Christmas for me the most is the unveiling of the Beauty Advent Calendars. Never mind the chocolate ones (although I have one of those too! ), what really gets me excited is having a daily door to open which opens doors (pun intended, sorry!) to mini wonder skin care or beauty products. It doesn't matter that I could buy the full size product any day of the year, it is the excitement of not knowing what's behind each door and getting to try lots of new products which interests me the most. 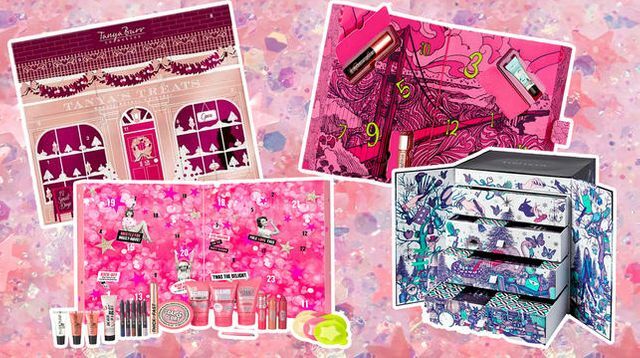 For like-minded beauty advent calender aficionados, MTV Style has curated the best of the best, from the purse-friendly to the extravagant. Take a look!